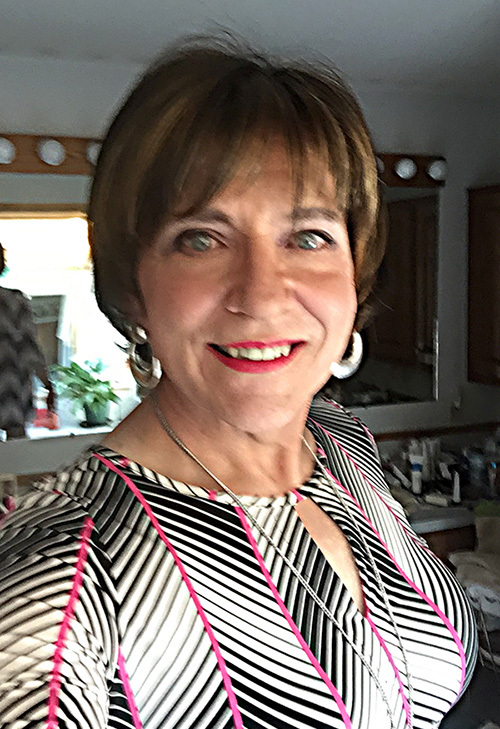 Wednesday was another day out as a woman and it was wonderful. Here is the rest of the story continued from my previous post. After dining and shopping at the mall, I drove to the hall where the Connecticut Outreach Society (COS) meets. I was early — about 45 minutes before the 8 PM start time, so I was surprised that there were quite a few vehicles already parked around the hall. Turned out that apizza was served at 7 PM, so most of the attendees showed up early to dine on the cuisine. 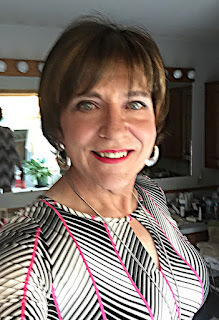 It has been almost seven years since I attended a COS meeting, so I was not surprised that I did not recognize many faces, but I was surprised that there were a few female-to-males in attendance. Not that there is anything wrong with that, but my presentation was intended for a male-to-female audience. The female-to-males would be bored, so I hoped they would at least enjoy the occasional attempts at humor that peppered my presentation. I don't know how many new members I am responsible for, but since I was already doing some of the work of a Membership Director, I might as well do the whole enchilada, so nominated myself for the Membership Director position. But first, I had to rejoin the organization, so I ponied up the annal membership fee ($0) and I was in. The election was held and, ta da, I am now the COS Membership Director! After the election, I gave my presentation, which lasted about 40 minutes. It was interspersed with questions and comments and my audience truly seemed to be interested in what I had to say. After the presentation, a few people came by to speak with me including one attendee in boy mode with whom I had an extensive conversation about our mutual trans lives. The meeting started breaking up around 9:30 PM, so I said my goodbyes and drove home with a new mascara and a new job! My life is seldom boring and I love it! For those readers not from the UK who may be unaware of Eddie Izzard - he is a transgender comedian of high intellect whose style of comedy could perhaps be described as fast flowing, intense and highly observational of life. His performances visit several countries where he addresses the audiences in their own languages. He sometimes presents as transgender, as seen above. Outside of comedy he has delved into marathon running like you wouldn't believe and generally doesn't live life like a 'shrinking violet'. I think it is fair to say that he has become entwined and accepted in the British way of life in a manner very similar to Grayson Perry. Coincidentally, this week in the UK we have heard on the radio a short serialisation of his autobiography 'Believe Me' which is well worth a listen, believe ME, and can be heard at the following link: http://www.bbc.co.uk/programmes/b08x8cx2 which I presume will work outside of the UK. By the way Carol Vorderman is more accurately described as a media personality, most remembered as a co-presenter for 26 years of the long-running British quiz show Countdown, in which her fantastic intellect and mathematical brain was wonderfully demonstrated. It is worth a look at her entry in Wikipedia to know her a bit more. Well you shouldn't get time to get bored! Being a bit picky over here we don't really consider Carol Vorderman to be an actress, more a TV presenter. A great blog Stana and as a plus it has links to very interesting people like Diana, someone who I would not normally come across. Eddie Izzard is almost a neighbour of mine on the English south coast. Not only that we also share an interest in railways or is it railroads? Please keep the posts coming and best wishes in your new post as COS Membership Director. I love his shapely, muscular legs in sheer black nylons and patent-leather spike-heels.